1. Navigate to the gear icon near your profile picture and check out the HTML5 checkbox . 2. Approve the reload request . 3. Navigate again to the gear icon and choose the level of cross fade you want . Awesome Thread! Keep up the great work! 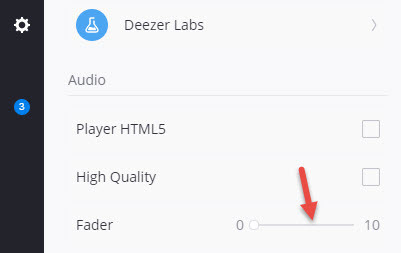 Although I have enabled "Player HTML5" in Google Chrome Windows 10, no fader is shown. 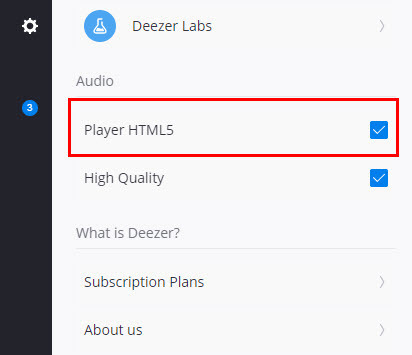 Well, you should actually DISABLE HTML5. Very disappointing though. Flash is a dying technology. I have the hifi account and use the beta desktop on my iMac, sounds great. But, when I listen to an album (live) the time between tracks is to many. In the old version you can use this control, now it's gone. After all, the app works not smooth. How can I fix it? Hi there, sorry about that. We do not have this feature in the desktop app at the moment I am afraid. So the pauses cannot be reduced. What do you mean it does not run smooth? I would need more information about that. What computer do you have? i have a imac 2017, the loading time is slow. Scrolling goes not smooth, i dont have the problem not when i use a another app( blueoss). Thanks for your replay.